I am a teacher. I am also a parent. Because my son is only one, I have yet to attend a parent-teacher conference from the other side of the desk, but I know that in about 4 years, they will become a thrice-annual part of my life. Because I’m a teacher, I’ve begun to stockpile advice for my future self to be mindful of when attending these thrilling events, and I thought it would only be right to share these little tidbits with all three of you reading this post. So here you go. 1. DO read your child’s Individual Program Plan (IPP) and/or Report Card before coming to the interview (unless it’s a simple Meet and Greet). Not to toot my own teacher horn, but toot toot! Teachers spend a lot of time thinking about, writing, and editing the targets and comments on your child’s Report Card or IPP. We assess what your child is doing in class by sitting with them one-on-one, analyzing their work, and making notes of our observations. We then use those assessments to help us decide what your child needs to work on and how we’re going to help them get there (in the case of IPPs) and basing grades and comments on the report card on those observations. Then we have to actually write those things down in a way that is not only professional but also makes sense to anyone reading it (parents, students, future teachers, etc.). Once we have finished writing and rewriting these documents, we edit them. After we have edited them, we submit them to our administration for review, after which we often have to edit them again. So please. Take 15 minutes to read them. They really are important pieces of paper. They’re also the reason why we meet, so it’s pretty hard to discuss them without everyone knowing what they actually say. 2. DO show up on time. This message has been brought to you by someone who is chronically late. In the case of Parent-Teacher Conferences, the evening (or morning) schedule tends to be jam-packed. If you happen to be late, one of three things will happen. 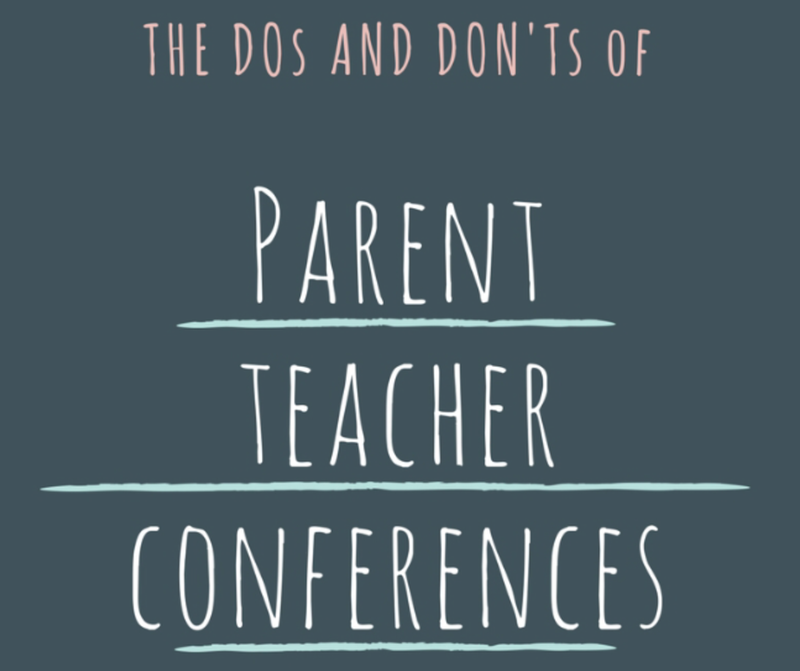 The first is that your conference time will be shrunk down to however many minutes you happen to have left, not giving you the time you’d like (or need) to discuss your concerns or to share your child’s celebrations with their teacher. The second option is that you will run over your allotted time, making the rest of the appointments after yours run late in turn. The final scenario is that you will have to wait to meet during a different empty slot which may very well have been the only time during the night that your child’s teacher had an opportunity to use the washroom and that opportunity has now disappeared. You can guess how well that one goes over. 3. DO come with specific questions. Are you concerned about the conflicts your child has talked about having with another student in the class? Are you anxious that your child just doesn’t seem to “get” the new math strategy they learned? Is your child struggling with reading? 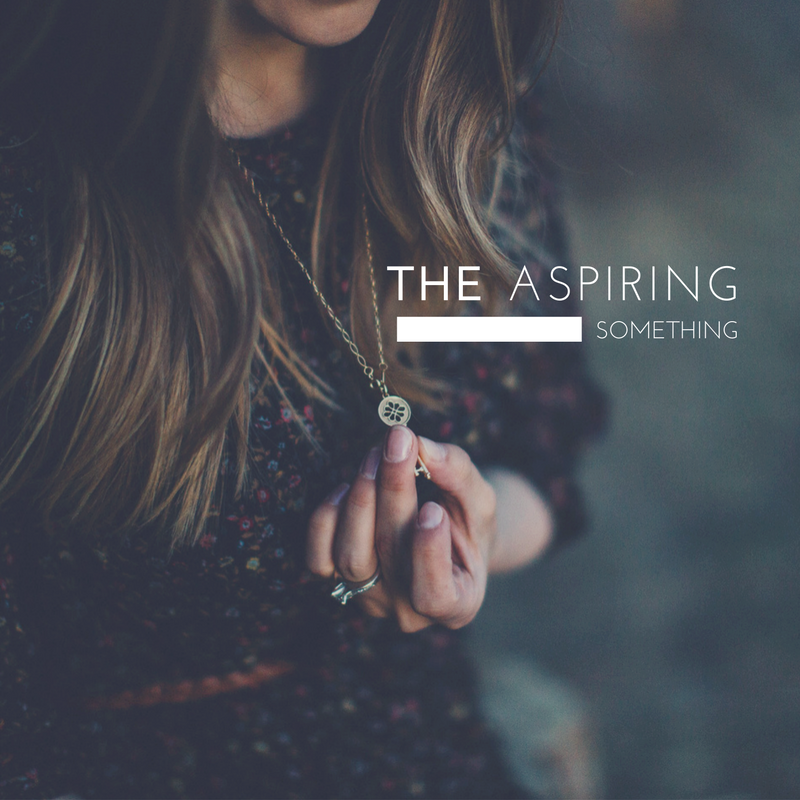 Writing? Focus? Self-esteem? Do you think they might not be eating their lunch? Are all of the spoons in your kitchen cupboard missing and you wonder if they might be somewhere at school? (They’re in your kid’s locker, by the way – along with last week’s egg sandwich and three of the hoodies you’ve been searching for for the past 3 weeks). Go ahead and ask. We want to know what you’re concerned about. We also want to know what you’re happy about. Don’t apologize for asking questions – that’s what this meeting is for! 4. DO bring your child. I love when my students come with their parents to conferences. Is it because I enjoy watching them squirm in the hot seat? Nah, not really. I like asking them how they feel about how things are going at school. Most of the time, I find them to be pretty honest when they’re in the company of both their parents and their teacher, and sometimes they share things that neither member of the adult camp knew before. It’s also fun to see them try to be modest after you’ve paid them a compliment about how well they’re doing or how much they’ve grown since the last time you met with their parents. 5. DO consider bringing your child’s teacher a treat. On two occasions out of my entire teaching career, a student’s parent has brought me a treat during interviews. After sitting in a chair for three hours trying to ignore my desperate urge to pee, the gift of a pastry literally made my entire evening. It wasn’t perceived as sucking up – just an incredibly thoughtful gesture that made the rest of the night feel a little bit lighter. If you’ve ever had to work a 12 hour day on a single cup of coffee and had one of your friends pops by your work with a venti latte, just because, you know what I’m talking about. It’s Christmas and your birthday and the first day of summer vacation all rolled into one. Seriously. Chances are pretty good that there’s nothing you will be hearing during the conference that you weren’t already aware of. If your child is seriously struggling academically, behaviourally, or socially, their teacher has probably been in touch with you already. Contrary to popular belief, teachers actually don’t store up all of your child’s transgressions for the months leading up to this moment so they can hit you with a real whammy on PTC night – our goal is to have as positive an experience as possible! 2. DON’T come with your battle armour on. Your child doesn’t need to either. Similar to number 1 on this list, teachers want to have positive, constructive conversations with parents and students. If we bring up a topic such as a conflict your child is having in class, attention difficulties, or a change in behaviour that we’ve noticed, it’s not because we’re trying to blindside you or see how well you defend your child. We want to know if you have been seeing similar things at home. If you have, we can work together to build strategies to overcome these obstacles. If you haven’t, we need to figure out why certain issues are popping up in one environment and not the other. It’s so essential to have a “united front” between school and home so that students are getting a consistent message about expectations, care, and support. If kids know that these types of discussions are happening between home and school, hopefully they will realize that both are important, and both can have an impact on one another. 3. DON’T leave important issues until the end. If you have something that you want to discuss, bring it up right away. There’s nothing worse than having something weighing on your mind and only having two minutes at the end of the conference to discuss it because other, less important matters, were covered first. Teachers can easily fill up the time slot talking about the day-to-day business of what your child is doing in class, so don’t let us take over the conversation! 4. DON’T let the Parent-Teacher Conference be the only time we hear from each other. If you feel that things are going great, let us know! If you have a question or concern, also let us know. We aren’t asking for 3 e-mails a day, but it really is nice to hear from parents once in a while. When I was in elementary school, our principal and vice principal had a program where teachers could send kids to the office when they had done something great (like done really well on a test or assignment, for example). The principal would then gather the students in his office where he would call our parents, one by one, to tell them what a fantastic job we had done. Then he would hand the phone over to us so we could let our parents tell us what little superstars we were. At the end of the month, we would also get a certificate and a pencil to acknowledge our success. There’s something so wonderful about getting in touch with parents so we can celebrate successes together, and this goes both ways. Did your kid just make the championships in soccer? Get the ever-elusive “C” slapped on their hockey jersey? Celebrate a birthday on the weekend? Fill us in so we can celebrate with them, too. Just go. I know weeknights are busy. I know you’re exhausted. I know you might be worried about what the teacher has to say about your kid. I know that your kid might be doing just fine and the teacher’s comments will be the same as last time and the time before that. But just go. Show your child that you are willing to take time out of your busy schedule for them, to make sure that things are going ok and to see what you can do to help if they aren’t. It means a lot to them. And it means a lot to us. I absolutely LOOOOVE this post! I spent three years as a Jr High English and History teacher. I too, have a toddler now, and have in mind how I will react as a parent during PTCs. 1) The deer in the headlights parent–who had absolutely NO idea about their child’s education UNTIL that night…parents NEED to be involved, not just during PTC. 2) When the parent starts yelling/lecturing the kid about his grade/missing work/behavior during the PTC…both kid and I always squirm in our seat! Thanks, Tayler! I have been really lucky this year and have had very involved parents for the most part. But I have definitely been at those awkward meetings where the parents lectures the kid in front of you…eep!! Thanks for these tips for a parent teacher conference. I’m glad you mentioned that the parent’s should try to ask specific questions, like if the child is struggling with reading. This seems like a great way to understand a child’s specific needs and if the teaching can be altered for those needs.